The CJSA is the state association under whose auspices the WLSC plays. 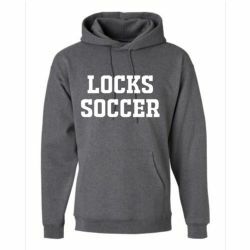 Visit our ONLINE STORE and get your LOCKS SOCCER swag!! The United States Youth Soccer Association is the largest member of the United States Soccer Federation, the governing body of soccer in the United States. US Youth Soccer registers more than 3.2 million players annually, ages 5 to 19, and over 900,000 administrators, coaches and volunteers in 55 member state associations. US Youth Soccer programs provide a fun, safe and healthy environment for players at every level of the game. The CJSA is a member of US Youth Soccer. Official website for the US Men's and Women National Teams. US Soccer is the governing body of soccer in all its forms in the United States.